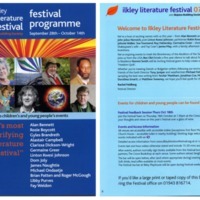 A number of events to mark the bicentenary of the Abolition Act of 1807 took place as part of Ilkley Literature Festival in 2007. Authors Caryl Phillips and Ben Okri discussed their work, and writers from the Peepal Tree Press Freedom Project premiered their poetry. 2007 Poet in Residence Rommi Smith invited festival goers to help create a unique literary 'Freedom Quilt', and gave a multi-media performance drawing on her recent visit to the Gambia. 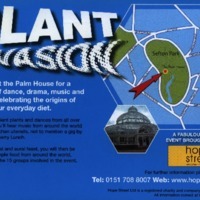 Street theatre was provided by performances of Sugar Beat Skank by Regeyshun Dance and the Leeds Bi-centenary Transformation Project. Members of the Leeds Diasporian Stories Research Group shared new material uncovered in the course of their research into the links between Yorkshire and the Atlantic trading world, and actor Joe Williams performed and answered questions as the African abolitionist Olaudah Equiano. 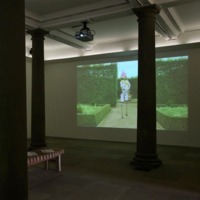 The art installation Crop Over by British Afro-Caribbean artist Sonia Boyce was shown in the public galleries at Harewood House throughout 2007. 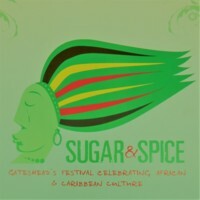 Crop Over is a Barbadian festival which has evolved from a celebration by plantation slaves of the end of the sugar crop. Sonia Boyce's two-screen film visually depicts the traditions, histories and cultural practices of this festival, which culminates with a carnivalesque parade known as Kadooment. 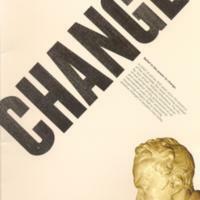 It also responds to the history of Harewood House. 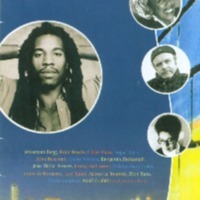 The Lascelles family association with Barbados began in the 17th century when Edward Lascelles and his son Daniel were based in Bridgetown, Barbados. 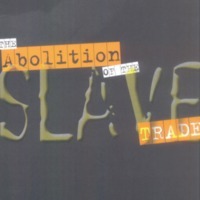 East Riding's Freedom Festival in 2007 commemorated the abolition of the slave trade and explored issues of modern day slavery through a multi-sensory performance featuring pupils from mainstream and special schools in the East Riding area. 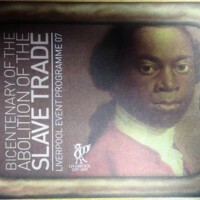 The play was in three parts - the transatlantic slave trade, emancipation and modern day slavery. 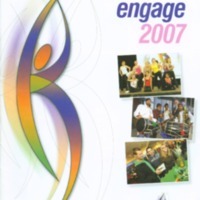 Resources and activities from the project were then made available to schools interested in developing an inclusive arts project. 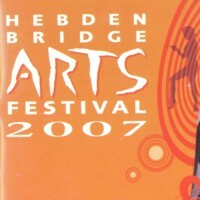 Hebden Bridge Arts Festival commemorated the bicentenary of the Abolition of the Slave Trade in 2007 in performances and exhibitions, and extending out from that, to a celebration of the idea of freedom. 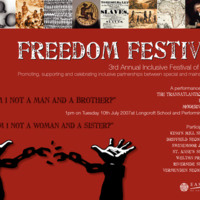 Events linked to the consideration of freedom had a broken chain as an identifying symbol in the festival brochure. Highlights included the world premiere of 'Can't Chain Up Me Mind' by the Grand Union Orchestra, a celebration of jazz and emancipation. The Gloucestershire Set All Free initiative was organised by Churches Together in Gloucester and other organisations to mark the bicentenary. 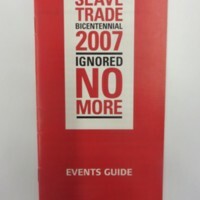 An Events Guide set out some of the events, lectures, film screenings, music festivals and exhibitions taking place in Gloucestershire to remember the horrors of transatlantic slavery, while also making clear the imperative to take action to end modern forms of slavery. There were bicentenary related activities at Gloucester City Museum and Art Gallery and Cheltenham Art Gallery and Museum. There were also a number of events at Gloucester Cathedral and local churches, including St Mary's in Wotton-under-Edge. 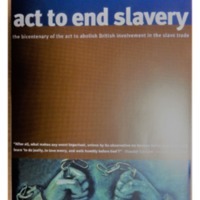 Two exhibitions focused on contemporary slavery were organised by the Anti-Slavery International League. 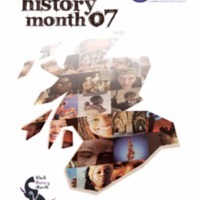 The Guide also includes details of various festivals with a focus on the bicentenary, including the 1 World Festival Freedom 07, the Gloucester International Rhythm and Blues Festival and Cheltenham Music and Literature Festivals.